These days I am getting used to people commenting on my weight loss. I had mentioned in an earlier post that running played a big part in my weight loss and has become a part of my weekly schedule. What annoys me is that some people believe that weight loss will come easy. It may be true for some with fantastic metabolism for others it is a combination of diet and exercise. You can read an inspiring weight loss story by another blogger here. This post is about diet and how to go about losing weight with the aid of a better diet. I am not a qualified nutritionist nor do I have any other experience in suggesting a diet except for some common sense steps that worked for me. These may not work for you but if you are willing to keep them as part of your weight loss plan do read on. - - When we eat we need to be conscious of What we are eating. Too often we do not think before we eat things that we should not be eating or should be eating in moderation. For instance fried items and red meat usually rank high on the wish list of most people simply because they are tasty. The first step is to be aware that such foods may gain weight and this will help us to eat responsibly. By eating responsibly, I mean sharing portions, eating lesser portions, chewing slowly and savouring the food, avoiding when possible. When people go to a buffet, the common practice is to heap the food on the plate, when people start being aware of what they eat they will tend to pick and choose the many options available and still have a good meal. Even the salads that are on offer may be overdone with too much mayonnaise so it may be safer to go for the cut vegetables and mixing it with the seasoning or just plain salt. In weddings when food is served on a plantain leaf the servers usually tend to heap the rice every serving so last the multiple courses. By breaking up the serving into smaller portions for each course of sambar, rasam etc the overall consumption of rice would come down. If it is mutton biriyani, usually the first serving will have more meat and the subsequent servings will have rice, by simply asking to reducing the quantity of red meat in the first serving we can watch the quantity intake. These simple steps also reduce wastage of food. These days some restaurants also allow diners to customize their order and simply saying no oil for a dosa can go a long way to eating better. - - The next thing to be aware is When we are eating? Many nutritionists recommend eating 5 small meals (3 larger and 2 smaller) a day usually spaced at 2/3 hour intervals. The second recommendation is to have heavier meals at the start of the day and progressively reduce the portions as the day proceeds with the final meal, the dinner being the smallest of the three large meals of the day. This time interval is crucial as extended periods of depriving nourishment to the body (unless it is a planned fast) can lead to acidity and usually makes the person eat more than intended. The last meal namely the dinner should be eaten early, heavy late dinners will result in slow digestion and lead to bad sleep, weight gain among other complications. Skipping meals, delayed meals all will end up with the person attempting to make up for the deficit in energy by overeating at the next meal. - - When we have managed to be aware of the What and the When, the next W, the Why will automatically follow. We eat for various reasons, nourishment, celebration, indulgence, mourning and so many more. Food is an integral part of life so when we eat we need to figure out if what we are eating is necessary at all or can be either avoided or substituted. One chief culprit here will be the colas which are drunk for reasons from refreshment to digestion. I am yet to find someone who really feels as refreshed with a glass of cool water over a cola but the point remains that we tend to consume many things without giving a thought to the reason for consumption. Meals are followed by desserts, usually the dessert can equal or exceed the calorific value of the meal itself, after skipping a meal people reach for a packet of biscuits not realizing that the biscuits are loaded with excessive sugars and salts, the better alternative could be eating a fruit or drinking a smoothie. The second part is to beware, this is simple if it looks to be too good then it probably is not. Those fabulous looking pastries overloaded with sugar, fat and refined flour are best sampled only. This adage these days holds good even for “natural” foods which get tainted by chemicals before they reach the plate. Refined, processed, artificial are all terms that should raise red flags to an aware eater. Reading the list of ingredients of many packed goods can be eye opening if people have the time to do so. 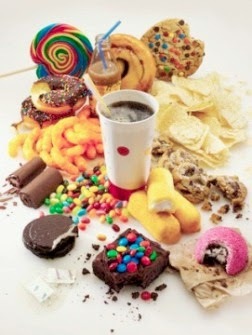 The term "junk food" actually is a misnomer. 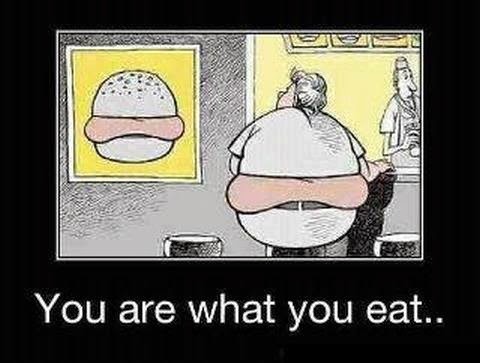 Tell me which sane person will eat junk as food? By following the simple rule I am eating better in quality and quantity; consequently I have aided my weight loss attempt. Reducing sugar and minimizing desserts have been one big change to the diet, while increasing vegetables and fruits on a regular basis has been the positive aspect over the last few months. I am not suggesting any diet plan because my plan or rather lack of a plan may not work for others. What will not fail is the principle which will ensure that the person will eat better and the weight loss will be simply incidental. And the exercise part is the other side of the coin. I am currently running 20-30 kms every week and my running form is getting better with practice. I am currently training for my first half marathon in another 10 days and I am constantly surprising myself and my group at the way I have improved since the first few days when a 3 km run would leave me completely winded. 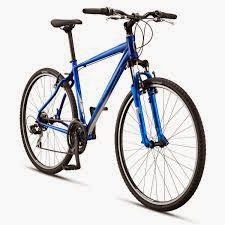 The other recent addition to the exercise routine is my Schwinn Searcher and I am planning another 30 kms or so every week in addition to the running. P.S: The Schwinn put my bank balance back considerably and so I intend to get my money's worth.